Whatever the reason, sometimes it is only Insect Screens needed in your home. Our Tough Fibreglass mesh is designed to last ands last and our frame comes in a variety of Standard Colours. Pet owners know that animals’ claws and Insect Screens don’t go very well together, so we have a different Mesh Options that include Pet Mesh. This extra thick, extra tough mesh is made to withstanding clawing animals. 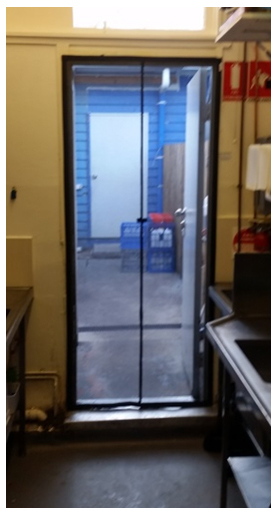 Very useful when clear access is need through an opening. These Highly Practical Screens retract into their cassette leaving the opening unimpeded. Flexiscreens provide versatility to an opening when framed screening is not straight forward. This innovation can screen the most difficult opening, overcoming limitation, fixtures or out-of-square trim around the opening. Whatever the need, Mr Mesh It will work with you to evaluate which screens are best for your needs.